Join in as we dig into the personality one of the most admired individuals in broadcasting. He is easily the most capable live presenter in the UK. We are talking about no other person than the popular journalist, Eamonn Holmes. This journalist is best known for hosting the Sky News’ Sunrise and ITV’s This Morning. He received the TRIC Award consecutively from 2008 to 2013 and also won the Legends of Industry Award in 2013 for Services to Broadcasting and Journalism. That’s not all, his credibility and versatility caused him to be honoured with the Order of the British Empire (OBE). He currently hosts the show, How the Other Half Lives, a show he has been hosting since 2015. This popular journalist was born in Belfast, Northern Ireland in 1959 on the 3rd of December. Eamonn was named after another famous Irish man — Eamonn Andrews. He received his early education at Holy Family Primary School and attended Belfast College of Business Studies where he studied Journalism. He can also brag about an honorary degree from the University of Staffordshire. Eamonn started his career as a worker for a Dublin business magazine before joining Ulster Television in 1979. He began co-hosting GMTV in 1993 and hosted the show for twelve years. He parted ways with the show in 2005 and six months later, he began hosting Sky News’ Sunrise. In 2006, he started work on ITV’s This Morning. Eamonn Holmes’s foray into acting has seen him star in movies like Robots, Mrs Brown’s Boys D’Movie, Bigmouth Executive & Forge. He has been involved in several charities including Dogs Trust, Variety GB, and Northern Ireland Kidney Patients’ Association. 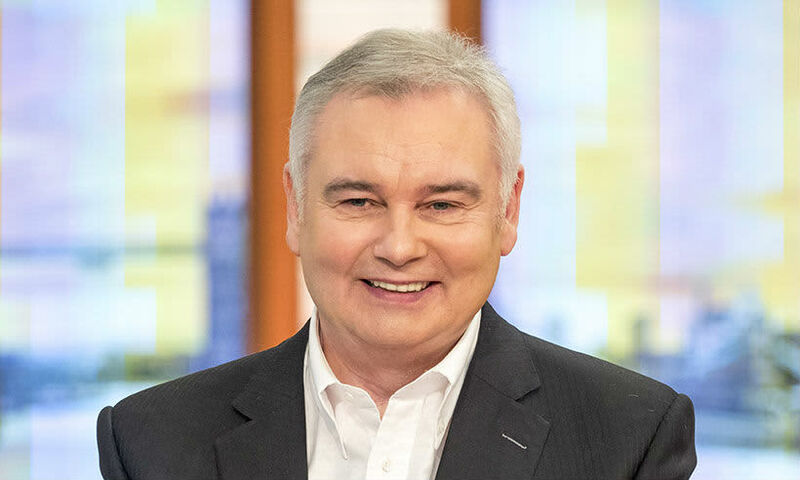 Eamonn has also hosted radio shows like The Eamonn Holmes Show, Let’s Talk With Eamonn Holmes and The Weekday Drive Time Show. Being a column writer for The People, his autobiography titled This is MY Life was released in May 2006. The book reveals some of what went on behind the scenes during his time at GMTV. In 2006, Holmes received an honorary degree from Queen’s University Belfast. Considering how much he has invested in his career, a talented and hardworking journalist like Eamonn Holmes should be able to boast of massive net worth. He is reported to have earned £2.8 million as salary for hosting Sky News’ Sunrise and ITV’s This Morning which made him the highest-paid TV star of 2011. He also takes home money from his radio gigs and other endeavours. His net worth stands at the sum of $5 million. Digging into his love life, Eamonn Holmes has not been riding it smooth. He used to be married to a woman named Gabrielle with whom he has a daughter and two sons namely – Rebecca, Declan, and Niall. His union with Gabrielle came to an end in 2005. The reason being the pressure of settling in London to present GMTV from Belfast where they lived. He met his long-term girlfriend and fellow TV personality, Ruth Langsford in 1997 through a mutual friend. In February 2002, the duo welcomed a son named Jack Alexander. The two got engaged in 2009 and tied the knot in 2010 at Elvetham Hall, near Hartley Whitney, Hampshire. The exclusive rights to report on their wedding ceremony, including the reception, were sold to Hello Magazine. The event was a highly publicized one. Eamonn is one of those celebrities who have the opportunity to work with their spouses. He co-hosts ITV’s This Morning alongside his wife, Ruth Langsford on Friday as well as during school holidays. Similarly, they have worked together on Do The Right Thing, Holmes and Away, among others. Eamonn and Ruth Langsford share a £3.25 million six-bedroom mansion in St. Georges Hill, Surrey. When it comes to festive decorations, Eamonn takes preference to novelty items while Ruth favours a more traditional approach. In August 2018, Eamonn’s eldest son, Declan walked to the altar with his fiancé, Jenny Gouk. The Lovebirds exchanged wedding vows at Castle Leslie in Ireland in the presence of many friends and family. Information on Eamonn’s parents (Leonard and Josephine Holmes) is still in the shadows, but he is reported to have four brothers – Conor, Leonard, Colm, and Brian.